Dr. Seuss' birthday is coming up soon (Read Across America Day) and what better way to celebrate than with a rhyming activity! 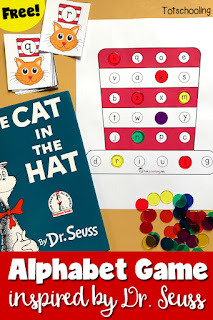 This free printable makes a great extension activity after reading the book Cat in the Hat, or any other Dr. Seuss classic. Includes 7 pairs of rhyming pictures that children can match and place in the correct pairs on the hat. 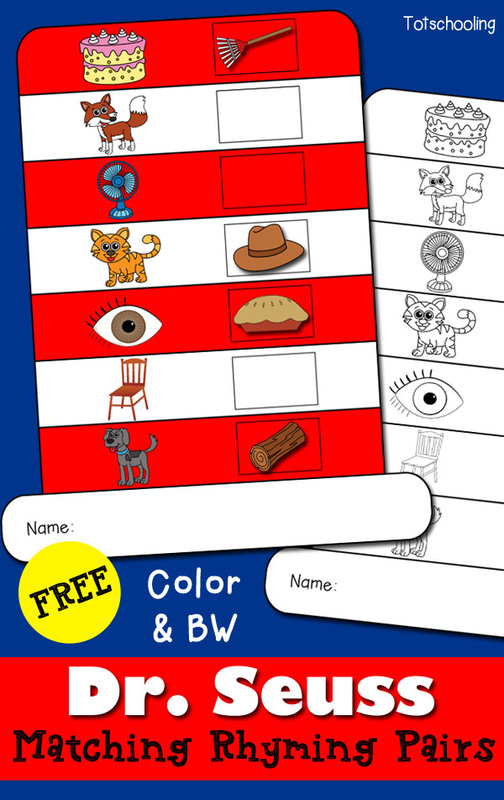 This FREE printable includes 7 rhyming picture cards that children can cut & paste into the squares on the main sheet, which features a drawing of the Cat's hat. 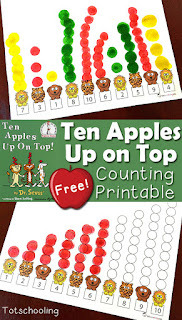 This activity can also be laminated in order to be reused many times. There is also a black and white version included where kids can color the red stripes on the hat. 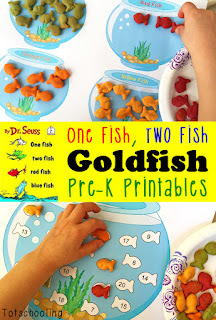 Couldn't get the "free"Dr. Seuss printables. Help! Hi, please click on the text link that says "Click here to Download your Free Dr. Seuss Rhyming Activity". If you are still having problems please email me at [email protected] Thanks! 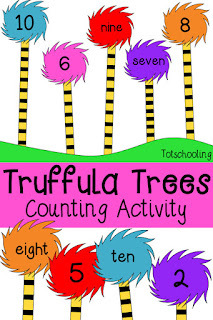 I can not believe I can download all of these amazing activities .... this is absolutely terrific -- thank you - my kids are going to love these activities !!!!! Great, I'm so glad! You're very welcome!